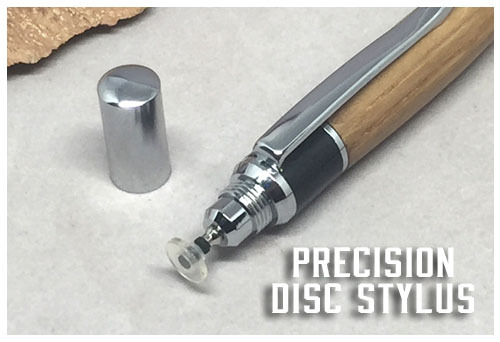 The Precision Disc Stylus pen is new and extremely popular. Small and attractive, yet affordable enough to have several. 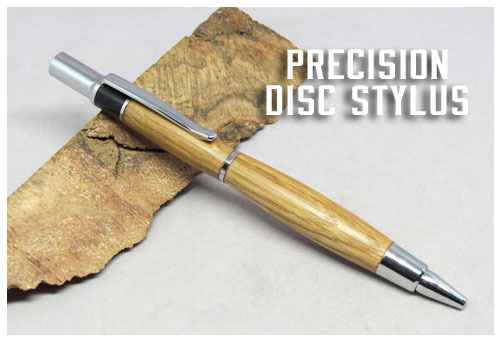 It is complete with a pen and disc stylus with a metallic cap. The cap screws on the stylus end for protection, and is conveniently magnetic for storage on the pen end while you're using the stylus! The stylus tip works with all touch sensitive devices. 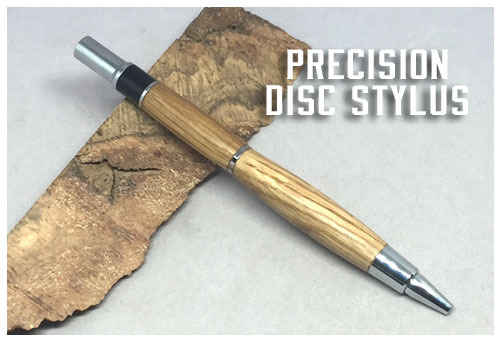 This pen twists at the center to open and close, uses a Cross refill, and refils are available at any office supply store. Currently available in chrome hardware, and your choice of wood "flavor."